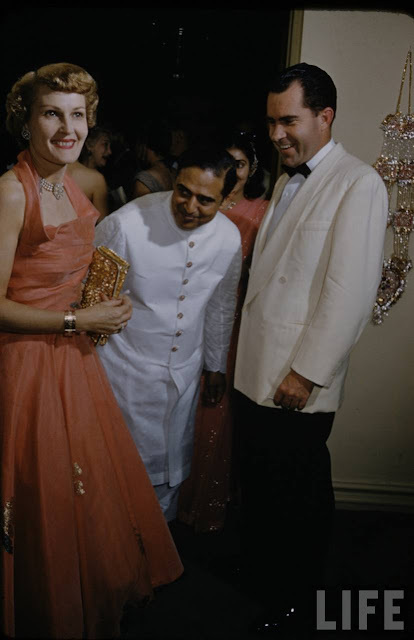 US president Richard Nixon and his wife Pat Nixon attending the wedding of Pakistani businessman Syed Babar Ali in 1954. 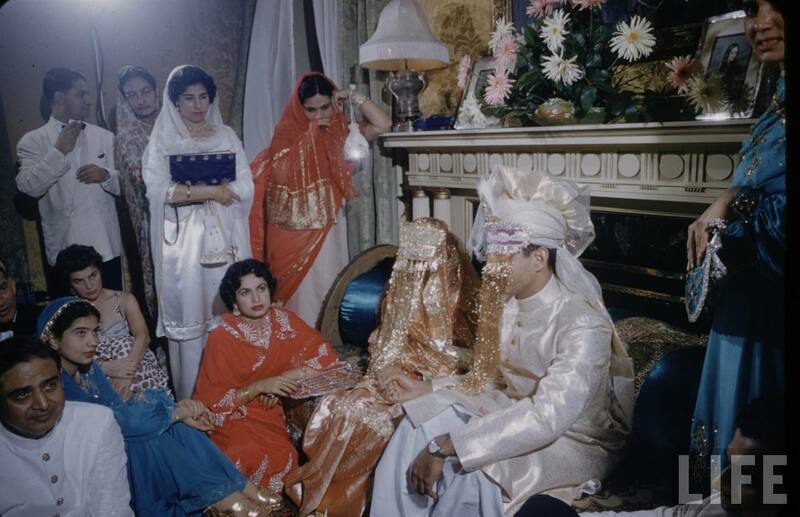 Marriage took place at Pakistan embassy in Washington. Syed Babar Ali founded Lahore University of Management Sciences (LUMS) as well as Packages Ltd., Milkpak Ltd., Tetra Pak Pakistan Ltd. and many other organizations. Finally a sigh of relief that Pakistan has qualified for hockey world cup 2018 which is to be played in India next year. Even though we came on 7th position at Hockey World League Semi-Finals but still we are not going to miss out on world cup which was the chance before. Need to work very hard now especially considering that world cup is in India. So slowly and gradually international cricket is coming back to Pakistan. First Sri Lanka and now there is this news that World XI will visit Pakistan to play three match T20 series. 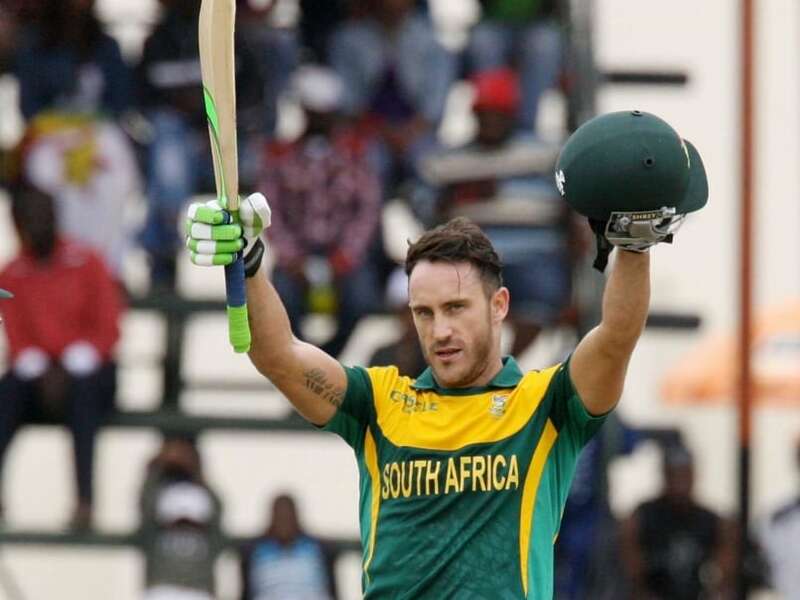 Team captain will beÂ Faf du Plessis while other notable players include Paul Collingwood, Hashim Amla and Tamim Iqbal. The players are set to earn US$100,000 each. Three matchÂ seriesÂ is set to have international status and be played with military protection â€“ on 12, 13 and 15 September. So finally lala has scored his first T20 century after only 256 matches. Way to start a career! 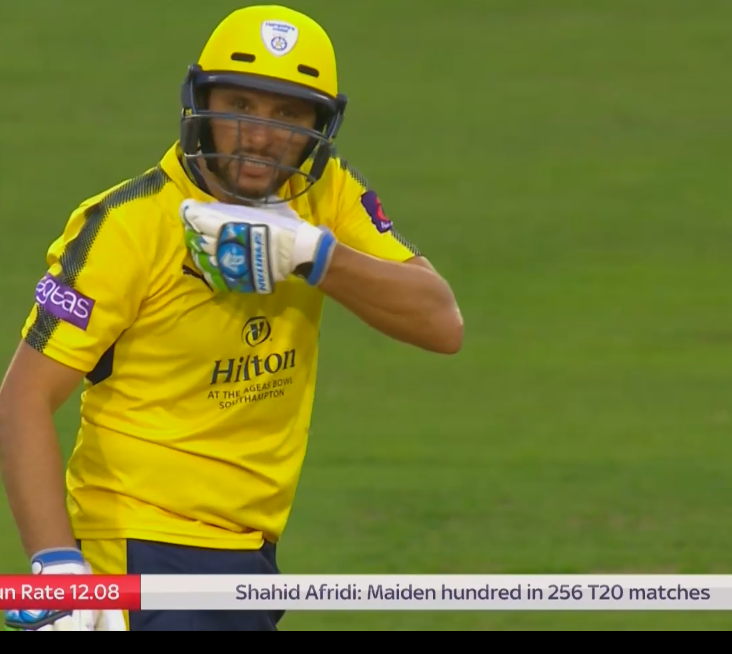 His breathtaking 42-ball century led Hampshire to a crushing 101-run victory over Derbyshire in the first T20 Blast quarter-final. Pakistan Cricket Board (PCB) had requested Asian Cricket Council (ACC) to move under 19 Asia Cup from India to Malaysia citing security reasons and ACC has accepted its request. Now the tournament will be held in November in Malaysia. The PCB had raised its objections to touring India for the Under-19 Asia Cup, which was to be played in Bengaluru in November. Given the tense political climate between India and Pakistan, PCB chairman Najam Sethi, who also heads the ACC, tabled a resolution to get it shifted. The BCCI had already written to the Indian government, seeking clearance to host the event as it would include a team from Pakistan. No decision on senior Asia Cup tournament has been taken yetÂ which is to be held in India next year. The Western Region qualifying round for the Under-19 Asia Cup will be hosted by Kuwait, despite discussions around the venue following the diplomatic crisis in the Gulf. The round will include Qatar, Saudi Arabia, Oman and Bahrain. According to Sethi, the nine teams in the Western Region pool will play each other, including Qatar as well as teams from countries that have broken diplomatic ties with it. 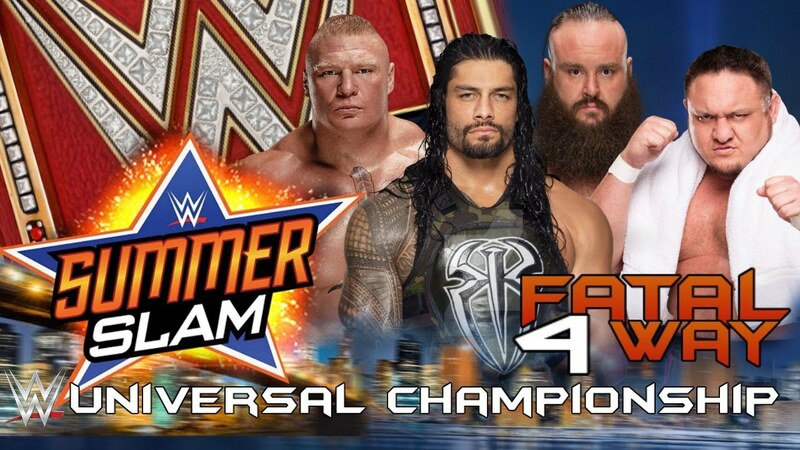 Brock Lesnar beats Braun Strowman, Roman Reigns, and Samoa Joe in a fatal 4 way match at SummerSlam to retain WWE universal championship. What a match that wa.Â Amazingly booked. I love how it was just a car crash. Just impact after impact. No one was able to get much of a moveset it in. I'm sure Vince loved it. By the way is it just me or did Samoa Joe get very little offense in during this match? Hi everyone.....I just joined this forum today after learning about it. My main interests are cricket and wrestling (I love the rock by the way) although I also like other sports such as hockey. Is this forum new? because I don't see many posts here. 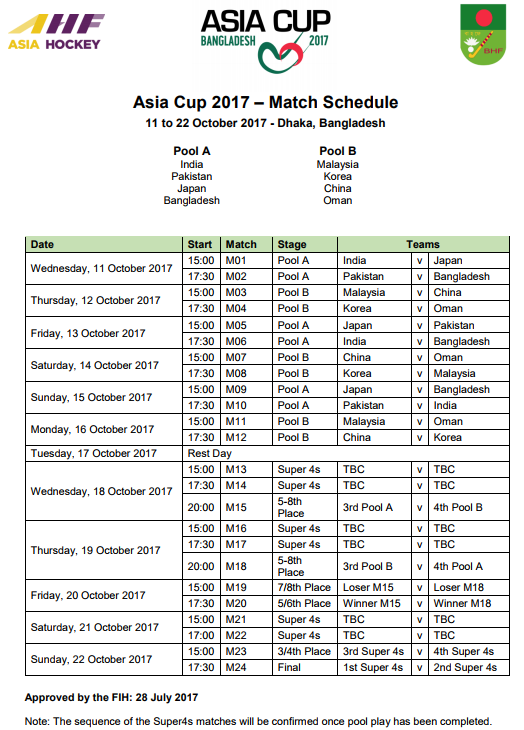 Asia Cup hockey tournament which will be heldÂ in Bangladesh between 11 and 22 October 2017 will see Pakistan and India in same group. There will be a total of 8 teams in two groups. Winner of this tournament will get direct entry into next World Cup.